Once the staple for furniture alone, designers today are finding multiple uses for wood–in fashion. 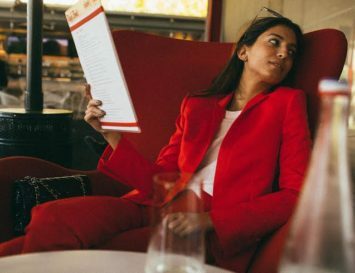 These five innovators have used sustainably sourced wood in a variety of exciting ways to create unique accessories that are classically stylish, and gentle to the Earth. 1. 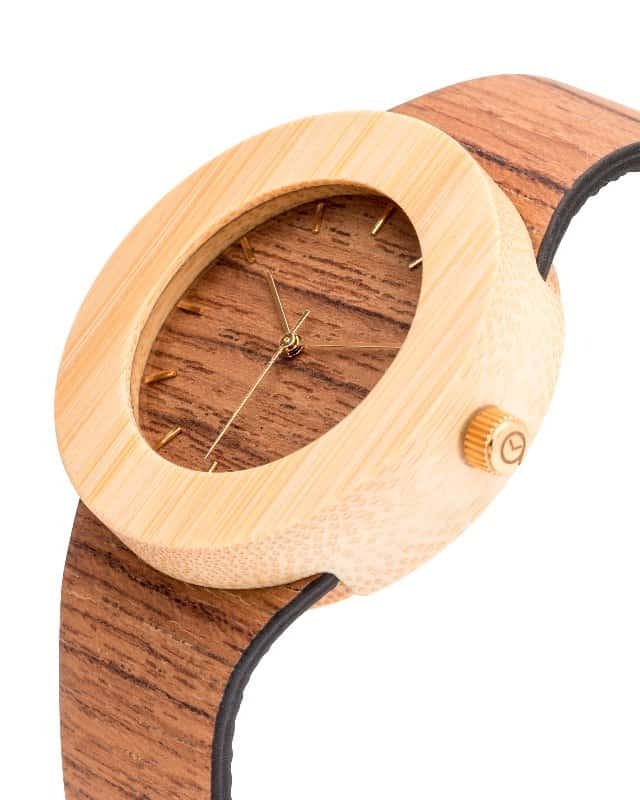 The Analog Watch Co.
“I’ve always felt a connection with nature and wanted to translate this into an everyday object,” says Lorenzo Buffa, founder of the Analog Watch company, which makes soft and flexible wristwatches from all-natural wood. And so The Carpenter Collection was born. The collection boasts a simple and clean design that highlights the grain of the wood, and best of all, all of the watches are 90% biodegradable. Christine Rochlitz of Lucky Nelly is always experimenting with natural materials, from CoolStone sewable slate to cork and now, sewable wood. 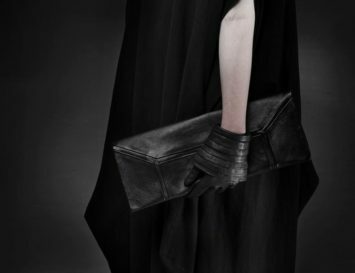 The Berlin based designer is a passionate vegan, and is dedicated to making eco-friendly accessories that don’t harm animals, or the planet. 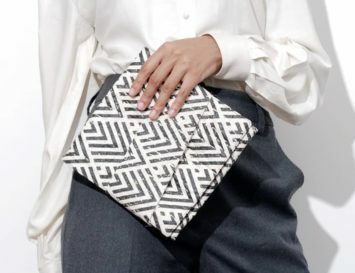 Her latest creations are a series of wonderful clutches, as seen in our main picture, and a women’s Slate Stone Bracelet with 5 cm magnetic zamak clasp. 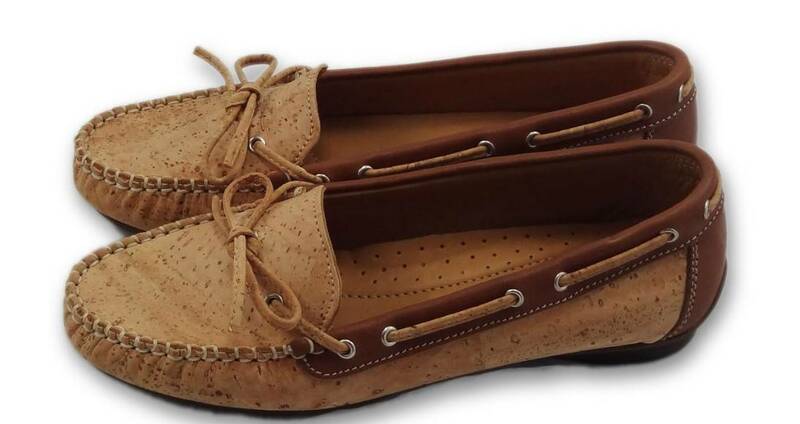 It’s simple, elegant, and goes with just about any outfit, and can be bought here. “I believe in capturing the beauty of Mother Nature without harming her,” says Mr Lentz, the founder of his eponymous accessories line. 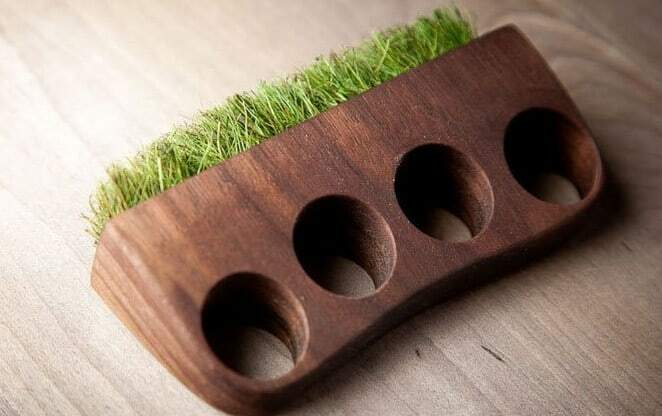 This bold statement which is definitely realised in his creations, which are made of sustainable walnut wood, with moss or grass added, constituting a living ring. A self-professed “modern cowboy”, Lentz aims to be part of a creative revolution that is focusing on sustainable materials. To see more of his work, click here. Edgar Mosa has been making a splash in the world of accessories since he graduated in 2011 from the Cranbrook Academy of Arts in the USA. 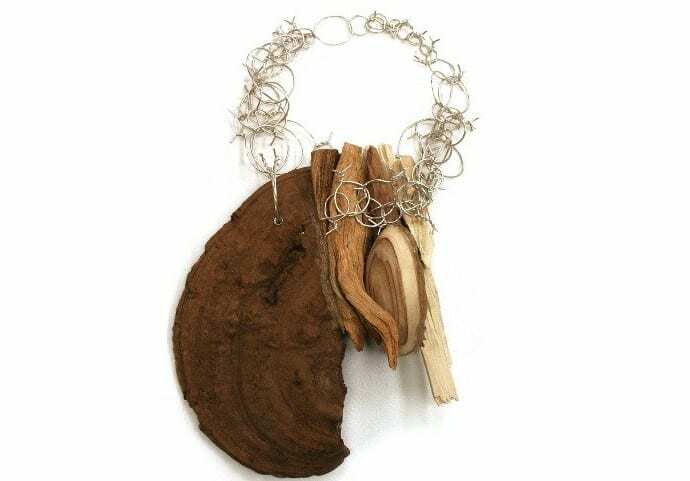 Mosa is mainly inspired by wood, but uses other raw materials to create sustainable jewellery. Featured twice in the respected design website ‘Design Break,’ Mosa has clearly demonstrated that he is not only an up-and-coming designer, but he’s also an inspiration to other designers, encouraging them to adopt eco-friendly materials in their work, too. Cork is the outer bark of the Cork Oak, which has a natural capacity to regenerate itself. The cork bark is stripped, from the tree allowing, new bark to grow in its place–cork trees are never cut down or damaged to obtain this material. 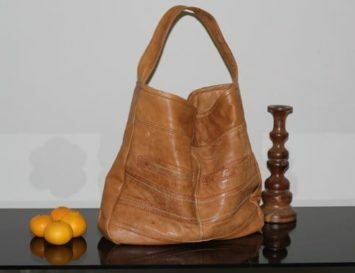 Cortica Chic uses cork to create incredible wallets, bags, jewellery and even shoes, all of which are completely sustainable and eco-friendly. 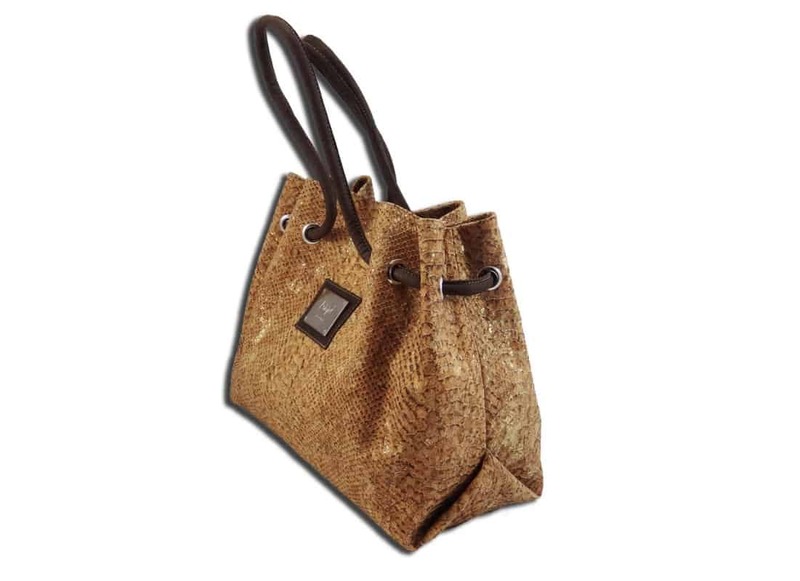 Their work is chic, modern and innovative: they’ve even found a way to make cork look like snakeskin, as shown in this bag, below. Not only that, by purchasing their goods, you’re helping to preserve Europe’s diminishing Cork Oaks. To see more about Cortica, click here. I always love to wear unique accessories which looks stylish. 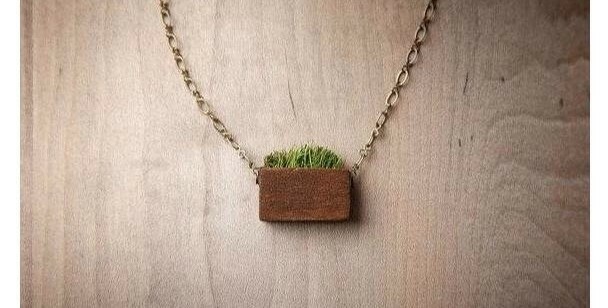 Wood accessories really look stylish and will give a perfect look for any style. I have a lot of collections of ring, bracelet, and watch of the different brand. 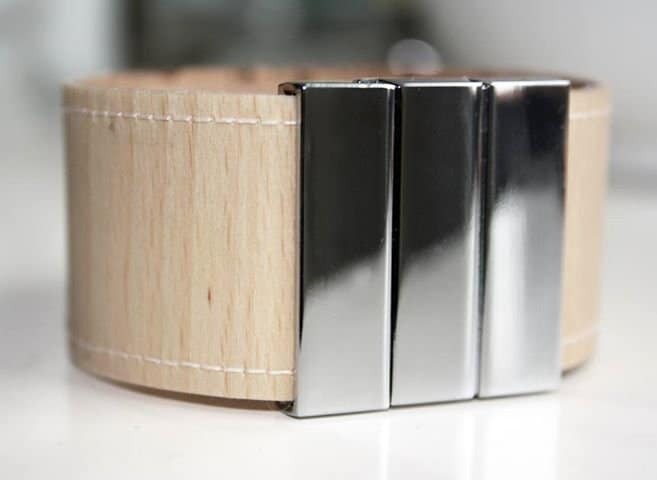 Recently I had bought a wooden watch from luxwoodwatches.com. That was awesome.